The euro is a sure bet to join the ranks of many hundreds of defunct paper currencies. The US Debt Just Exceeded $19 Trillion. Here’s How We Got Here. On Monday the U.S. national debt hit a new record: $19,012,827,698,418. That’s more than $58,000 for each person that lives in the U.S. today. 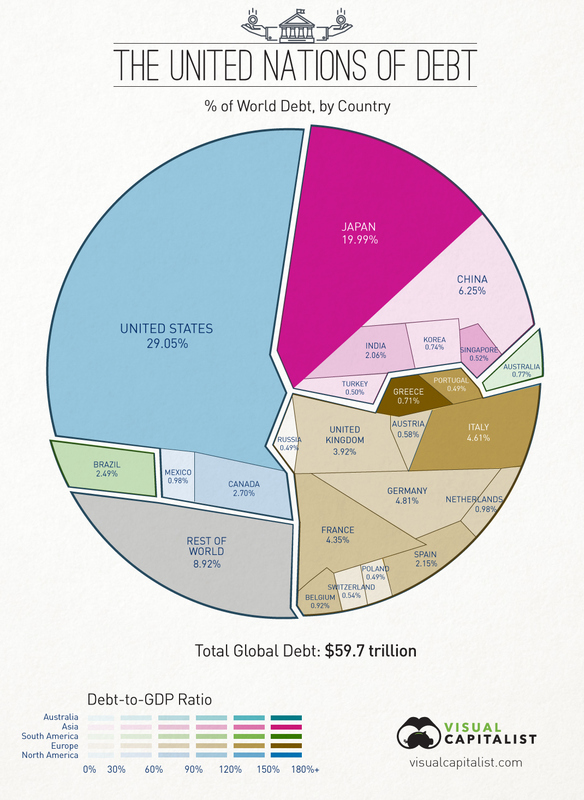 Source: The US Debt Just Exceeded $19 Trillion. Here’s How We Got Here.